Three of the children were from the western region of Japan: Kyoto, Takarazuka and Nishinomiya. 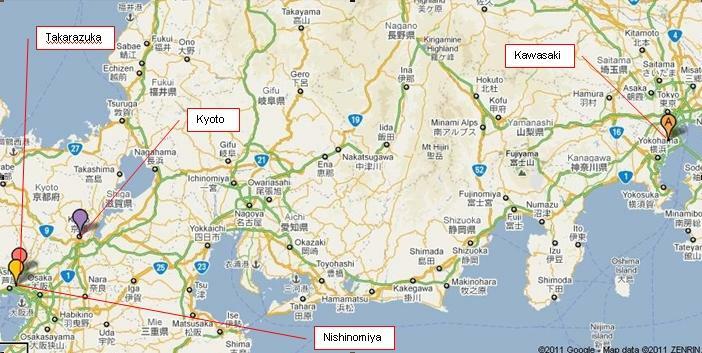 The fourth was from Kawasaki, which is near Tokyo. It has also been reported that some had underlying medical issues, but I haven't been able to find any further information on which children were healthy and which had other issues, nor what those issues were. According to The Canadian Press, Japan's Ministry of Health has reported that the dates of death range from the same day as receiving some of the vaccines to three days after. An interesting note is that the one common factor for them all is the PCV. Although some reports mention that multiple vaccines were received on the same day, it is unclear whether all of the vaccines listed above were administered the same day or not. Also of note is that three of the four are all from the same general region. That may suggest a possible lot-related issue. We do not know the actual cause of death, but, because of the timing, public health officials in Japan are looking at the vaccines as a possible suspect. There are several possibilities here. First, of course, the vaccines may not be connected at all. 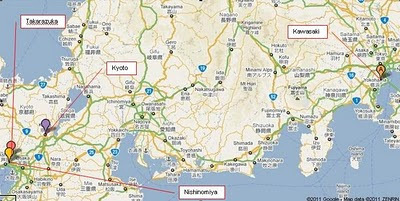 If they are connected, the cause could be bad lots, inherent problems with the particular vaccines in question or, considering millions of doses have been administered in Japan with no adverse effects, a very rare condition that was shared by these four. It is even possible, considering the vaccines are relatively new to Japan but have been used for years throughout the rest of the world, including the U.S., that the issue may be unique to Japanese physiology. Public health officials in Japan are taking appropriate steps: halt use of the vaccines, investigate to see if there is any connection. What about the rest of us? Until we know more, I would say that it is premature to halt use throughout the world. While any death is one death too many, there is nothing to suggest that the problem is a global one. Cautious skepticism may be warranted, but fear-mongering is not. Discuss this with your pediatrician to decide the best course for you to take. Myself, I would probably continue use, especially the Hib. To sum up, these deaths are a concern and must be investigated so we can figure out what went wrong, if the vaccines are connected, how they relate and how we can prevent this in the future. It is premature, though, to raise a hue and cry against these vaccines. Update: While the suspension of the vaccines continues, an expert panel that met on March 8 in Japan found no clear link between the vaccines and deaths. Further investigation of the deaths is still under way to determine what happened. Update 10:25am 3/8/11: According to a NASDAQ article, the panel concluded there was no connection. It also states that the vaccines received were from different lots. Here's the deal, Todd. Because of 4 unfortunate deaths that happened to be clustered in time and space (to a degree), and associated with the vaccine, an investigation is being launched and they will not rest until the clear things up. If there is such a big, worldwide conspiracy as "you-know-who" says there is, why would 4 little kids matter? I assure you that we in public health will all be on the lookout for what is learned from this event. We will even be willing to change and adjust things because of it, so long as the science guides it. Not so with others, I'm afraid. "They" will use this as yet another excuse to avoid vaccination, no matter what is learned from it. No matter is vaccines are excluded. I bet you dollars to donuts on that. Good points, all. Like I said, we need to find out what actually happened so we can do our best to prevent it in the future. And even if the vaccines are connected in some way, flipping out, crying "ZOMG! Teh vaxes are killing our babiez!" is not the appropriate response.